Part of the key to nailing a Harry Potter film adaptation is finding the correct run-time. That perfect sweet spot that’s able to properly balance out the plot-points of the story, the growth of the characters, and establish the overall atmosphere so that the film can do the book justice. 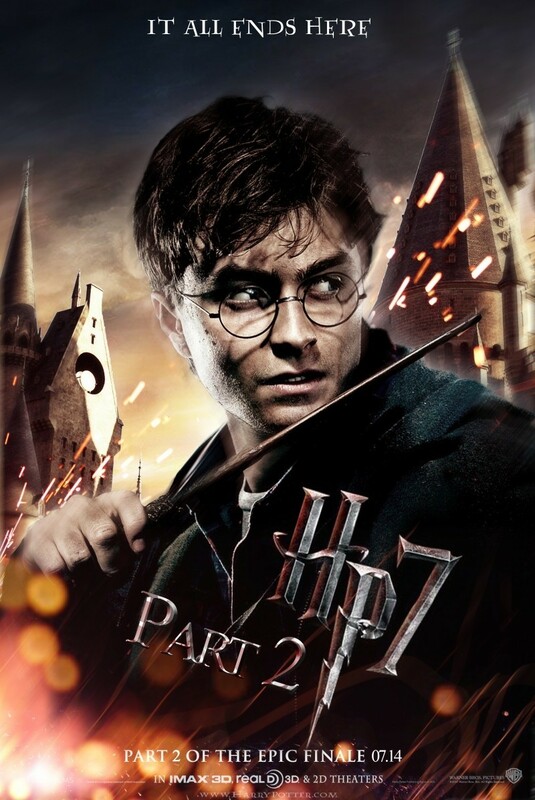 At a brisk 125 minute run-time, the conclusion to the HP film franchise could have used the spare minutes found in the longer run-times of other films, such as Prisoner of Azkaban or The Deathly Hallows Part 1, in order to deepen its emotional resonance. Make no mistake The Deathly Hallows Part 2 contains the crowd-pleasing scenes from the latter half of the novel that have been practically made to be seen on the big screen. The battle of Hogwarts is still pretty epic what with all of the giants, living statues, and students making what could well be their last stand—certainly it’s the last stand of their childhood innocence. Mrs. Weasley still gets the chance to utter her infamous line to Bellatrix LeStrange and Neville Longbottom continues his ascent into the kind of pure badassery that makes him worthy of the sword of Godric Gryffindor. But there are times when a few extra minutes could have given some scenes more gravity than they wind up having. Particularly the battle itself outside of Harry’s journey could have been made a little easier to follow with more shots of the action all throughout Hogwarts. That way the aftermath would have been more clear to those who haven’t read the books—yes, that type of fan does exist—what the extent of the casualties actually were. The death of Fred Weasley should also have carried more weight than it did to everyone--it seemed like it was just sort of a thing that happened not an immensely tragic blow to people outside of the Weasley family as well. Have we not gotten to know and love that mischievous ginger as much or more than Dobby the house elf? The death of whom was given great pathos in The Deathly Hallows Part 1, but the filmmakers make the most of what they can with the task given to them. Having to split this book was going to be a catch-22 no matter how the second film was treated. Speaking of actors being faced with a challenge from the books and pulling it off more than capably, Matthew Lewis really deserves credit for how he played Neville as he comes into his own as a young man against great danger. I can’t stop thinking about his scene against Voldemort and how in that moment it was apparent that Neville grew into a courageous hero in Harry’s absence. It was truly a happy accident that when they cast Lewis as a child there was no way of knowing what would be required of the actor from the material of as yet to be published books—and he displays humor and a sort of awkward charm that made this character everything he should be by now. Another wonderful find for the HP team would prove to be Evanna Lynch as Luna Lovegood. She has created the perfect humanized version of a character that could have been far too whimsical or twee, and she will be a character missed as much as any of the trio. Special praise goes out to continual standout Helena Bonham Carter as her Bellatrix continues to find new heights of sadistic malicious lunacy. Even when she plays Hermione Granger in a polyjuice potion sequence it is pitch-perfect down to the last uneasy wobbling step in Bellatrix’s unforgiving heels. Also it’s apparent to many that Jason Isaacs can just breathe during a scene and it makes Lucius Malfoy compelling. Loved how the story of the Malfoys ultimately ended as they decided to take their lives back from the shadow of the Dark Lord’s influence the second they could. How I would love to see a film that followed only them because Lucius, Narcissa, and Draco make up an endlessly fascinating dynamic and what a treat it would be to see how these characters lived out their lives following the events of Voldemort’s last stand. Visually, the film is striking—particularly the opening sequence. First the quick cuts of the events at the very end of Deathly Hallows part one were flashy enough but the scene following had me breathless. A beautifully foreboding shot of Dementors soundlessly floating in the skies of Hogwarts as Snape looks on will stand out as one of the most haunting shots in the entirely of the film series. The scene of Harry meeting up with his former mentor in a seemingly endless span of blinding white mist clouding up King’s Cross station proved effectively stunning. I also give David Yates credit for not being afraid to give the occasional glimpse of the truly disturbing as the stark image of the part of Voldemort that was formerly inside of Harry--represented as a bloodied fetus-like creature--shocked the way it was intended to, at least in the theater I saw the film in. As for the controversial epilogue sequence being translated from page to screen, let’s just say that it’s much harder to make young ladies look to be in their thirties than it is for twenty-somethings to be believable as teenagers. But the slightly silly sights of pot-bellies and receding hairlines are not the point of showing adult versions of Harry, Ron, Hermione, and even Draco Malfoy bringing their respective broods with them to platform 9 ¾ . The film actually may even be more effective than the book in this instance as it becomes clear when the kids get onto the train that this world is still going. That though one tale has finished, another will soon open and that while childhood inevitably ends—magic need not forever be lost. I’m going to miss the near yearly return to Hogwarts, but these characters and this story will have a place in my heart no matter what. These films will serve as a wonderful port-key to transport one’s self instantly back into the world that J.K Rowling created,but that a small army of cast and crew have captured the magic of forever. I don’t think there’s any question that the books are a consistently richer overall experience, but now that it has all ended they will likely have an added magic for many now that there are specific faces (and voices) to put toward the adventures of the names on the page.